A lot of parents assume that aggressive behaviour in toddlers means they are naughty, bad, or mean. They punish their child for hitting, by placing them in time out, sending them to their room, using harsh words or even hitting them back. But the toddler continues to hit. This leads parents to believe that their child is deliberately disobeying them, thus reinforcing their belief that their child is naughty. The parent believes they must be doing something wrong. They think maybe they need to be harder on their child. Firmer. They give them more time outs. Yell more. There is more, “How dare you?” and, “How many times do I have to tell you?” But still it continues. So can I hit you with a little truth bomb right now? Are you ready? Here it is: ALL toddlers hit. Or kick. Or bite. Or throw things. Or destroy things. 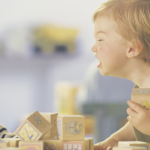 Aggressive behaviour in toddlers is developmentally appropriate. Does that mean we should just let them keep doing it? Absolutely not. But it doesn’t mean they are naughty or mean. They are not burgeoning sociopaths destined to join a gang, mug little old ladies and end up in prison. They are just tiny humans with underdeveloped nervous systems who don’t have the ability to express how they feel with words just yet. And they’re doing the best they can with the skills they have right now. Repeat it with me: They are doing the best they can! So. If time outs, spanking, yelling, and harsh consequences don’t work, what exactly can you do to curb aggressive behaviour in toddlers? Let’s dive in! The most important thing you can do for your child when they are aggressive, is to stay calm yourself. If you lose your cool and start yelling, or lashing out, then you’re of no use to your child. All you’ll have is not one, but two dysregulated people. Both stressed, and both distressed. It’s a perfect storm that leads to nothing but chaos and further upset. Be sure you are modelling the behaviour you want to see from your child. 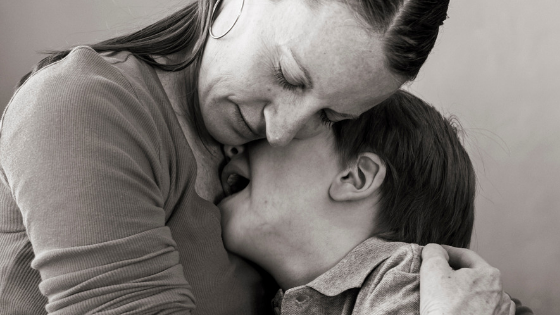 Take a few deep breaths and remember that your child’s behaviour is not personal. They are not being malicious or cruel. They are just doing the best they can and they need your help if they are to learn to do things more effectively next time. To learn more strategies for remaining calm as a parent, see my post here. Set limits to ensure your child does not continue their behaviour, and nobody gets hurt. You can say something like, “I won’t let you hit, hitting hurts.” If they are still lashing out, you might like to gently hold their arms or hands in order to prevent them from hitting you or anyone else. If they are being very aggressive towards another child, separate the children. If their aggression is aimed at you, or they are throwing or breaking things, move away from your child and keep a safe distance so they are unable to continue hurting you. There is always a reason for behaviour. Perhaps your child is communicating an unmet need. Maybe they are feeling angry about an injustice. Perhaps they are frustrated and unable to effectively communicate with words. Or maybe they are overwhelmed and under-skilled. Think about what your child might be communicating to you with their behaviour. 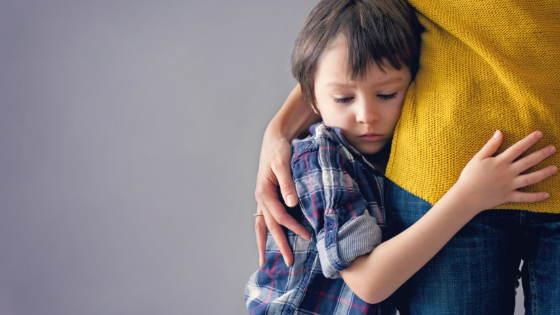 Ask yourself, “What does my child need from me right now?” When we approach the situation from a place of empathy and understanding, we can support and guide our child through their big feelings so they can learn to manage them more effectively in the future. Let your child know that you understand how they are feeling. It’s important for children to know that while their behaviour may not be acceptable, their feelings are always ok, and they are safe to express them. Try saying something like, “I can see that you’re very angry.” Or, “You wanted a cookie and mummy said no. That made you feel sad.” Once a child feels heard and understood, it becomes easier for them to calm down. Naming a feeling out loud instantly helps it feel more manageable. 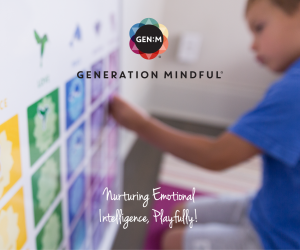 For more information on helping your child manage their emotions, see my post here. An aggressive child is a stressed child. And before you start wondering what on earth a 2 year old could have to be stressed about, I’m talking about physiological stress. Their nervous system has become overwhelmed and their stress response has been triggered. They’ll need help to switch this response off. Now is not the time to try to discipline them, talk to them about what they’ve done, or teach them any kind of lesson. The brain is on high alert for a threat and their body is flooded with stress hormones. They are physically unable to think. The thinking part of the brain has gone offline, and their emotional control centre is in charge right now. All children respond differently to calm down techniques, so you’ll need to find what works best for your child. You could try a big, deep hug, some calming breaths, some scented play dough, a stress ball to squeeze, or some relaxing music. But whatever it is, they need YOU to help them do it. Human brains need connection, so even if your child doesn’t want you to hold them, or soothe them with words, stay close by and let them know you’re there when they’re ready for a cuddle. For more calming strategies, see my post about creating a calm down space for your child here. Now, and ONLY now, do we address their behaviour. Talk to them about why their behaviour was unacceptable and what they can do next time they are in that situation or feeling the same way. Try something like, “Next time someone takes your toy, you can say…” Or “When we want someone’s attention we can…” Depending on you child’s age you may even like to practice these skills so they are prepared for next time. But remember, all children, but especially toddlers, learn through practice. And they need LOTS of it. You will need to repeat this process with your child many times over. But with your support and guidance, they can, and they will, learn to respond differently. You’ll notice that punishment is not one of the steps in our plan. And that’s because punishment is both unnecessary and unhelpful when it comes to managing aggressive behaviour in toddlers. Or in a child of any age. Handing out a punishment is not going to teach your child how to behave differently or make better choices next time. 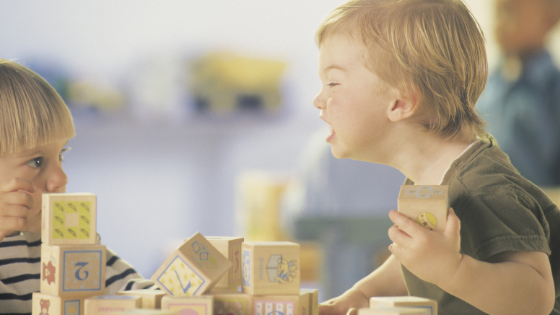 Aggressive behaviour in toddlers is an issue with self regulation. Your child is lashing out because they do not yet have the skills they need to regulate their emotions and control their behaviour. They feel out of control and powerless. If you meet this lack of control and feeling of powerlessness, with more aggression and power, they will feel even more powerless and out of control. And so they will either shut down, or become more aggressive – seeking to regain control and effectively entering into a power struggle with you. But they cannot learn anything like this. Least of all, self regulation. And so the cycle of aggression will be perpetuated. Ditch the punishment. The real definition of discipline is simply “to teach”, and that is what we are aiming to do: teach them a better way. So now you know what you can do in the moment, but is there anything you can do before they start kicking people in the face? Yes! Read on, friend! Often, very young children become aggressive because they experience big emotions that are confusing and scary. They do not know what they are, how to express them or what to do about them, and so they attempt to communicate with us the only way they can. 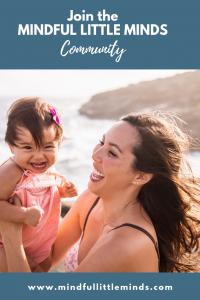 Speaking about emotions frequently, from the time our children are very small, provides them with the language they need to express how they are feeling, and reduces much of the frustration that causes aggression. Our children are always watching and learning from us. Keep your own aggression in check. If you tend to respond with aggression when you are frustrated or angry, they will learn to do the same. A child who feels disconnected from us, and whose love tank is a little low, will look for attention anywhere they can get it. And to a child, even negative attention is better than none at all. 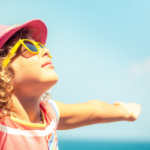 A child who is receiving plenty of positive attention, has no need to seek it out elsewhere. Look for opportunities for connection throughout your day and ensure your child feels your love and warmth. Shame and guilt often lie beneath anger. Be mindful of the language you use when you discipline your child. Focusing on language that places blame on your child or makes him feel ashamed of his actions has the potential to increase aggression. 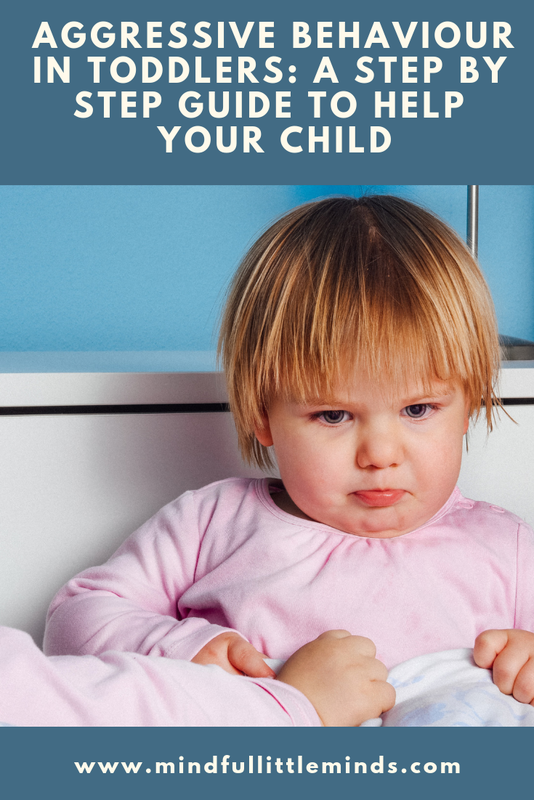 It can activate the stress response, causing your child to enter “fight or flight” mode, where they will push you away , shut down, or lash out. Sometimes we become so focused on correcting “negative” behaviour, that we fail to acknowledge the positives. Pay attention to the times when your child manages difficult emotions well, uses calm down strategies effectively, and or avoids using aggressive behaviour. And let them now you saw them do it! This has the added bonus of giving their self esteem a little boost. I hope that these tips have been helpful, please leave me a comment and let me know if you use them! 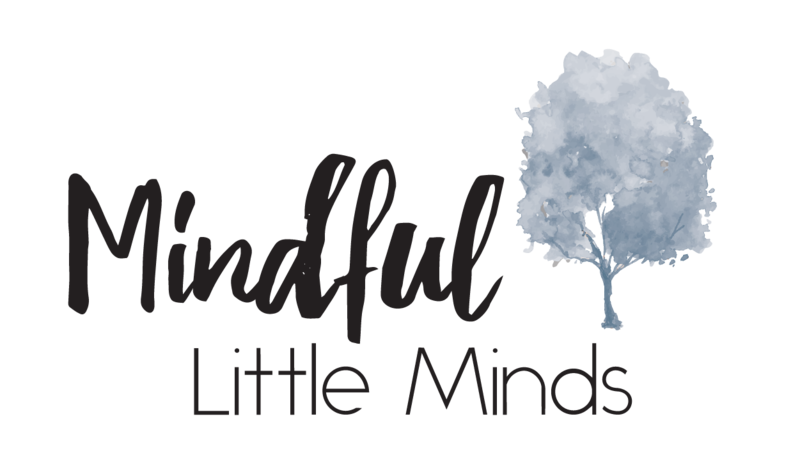 And for more mindful parenting strategies, tips and support, you can join our FREE Facebook group, the Mindful Little Minds Community.